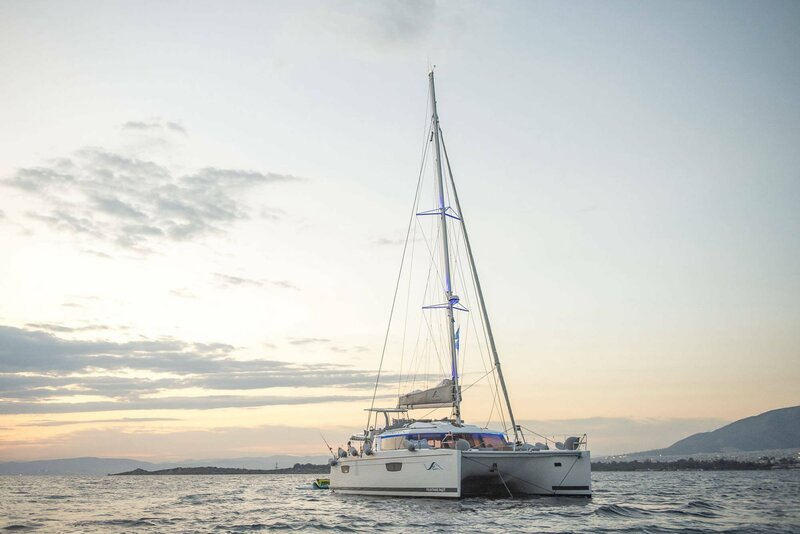 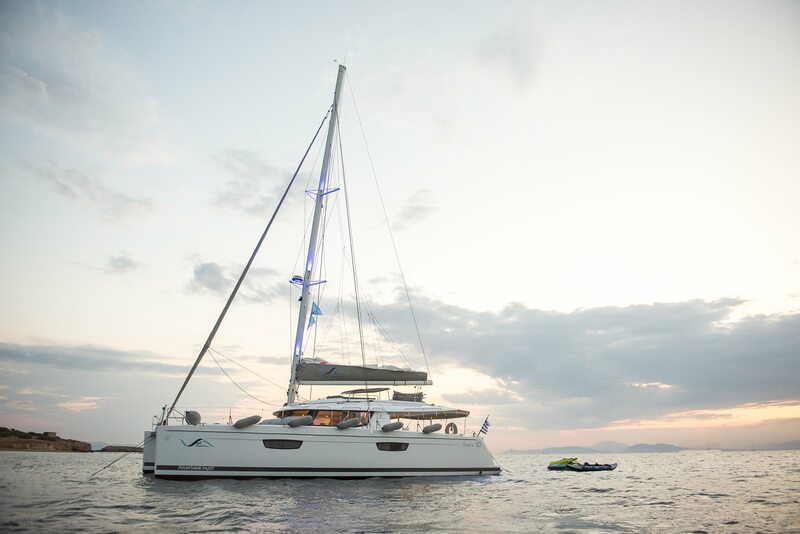 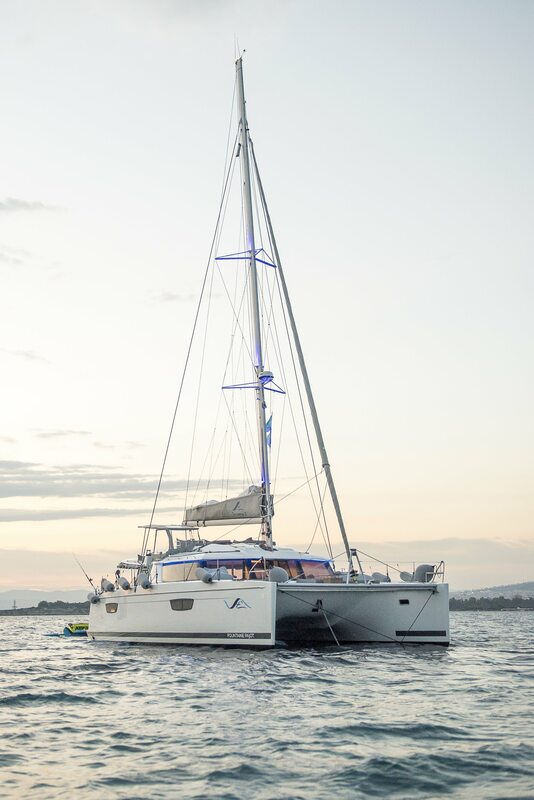 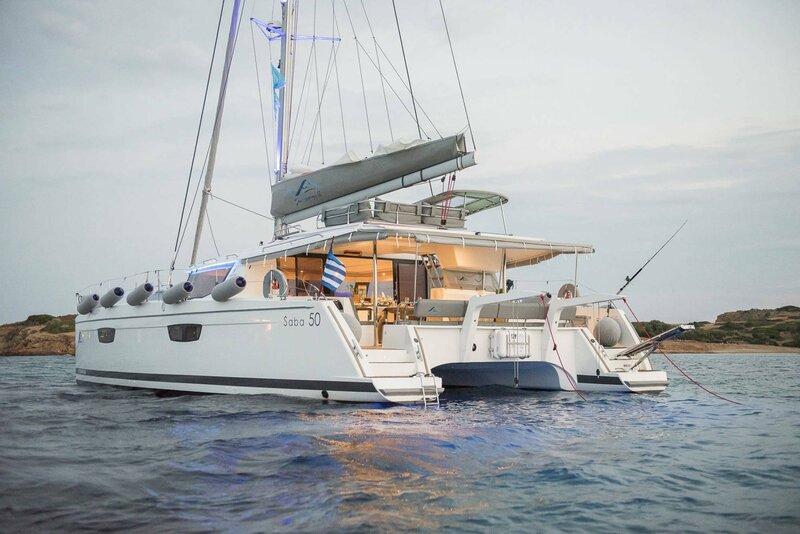 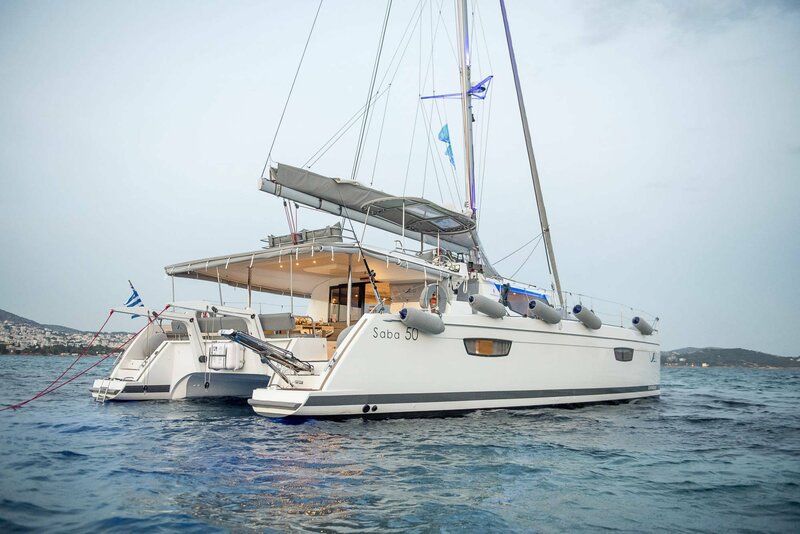 SEA ENERGY V is a luxury sailing catamaran built by Fountaine Pajot, measuring 14.98m (49' 2”). 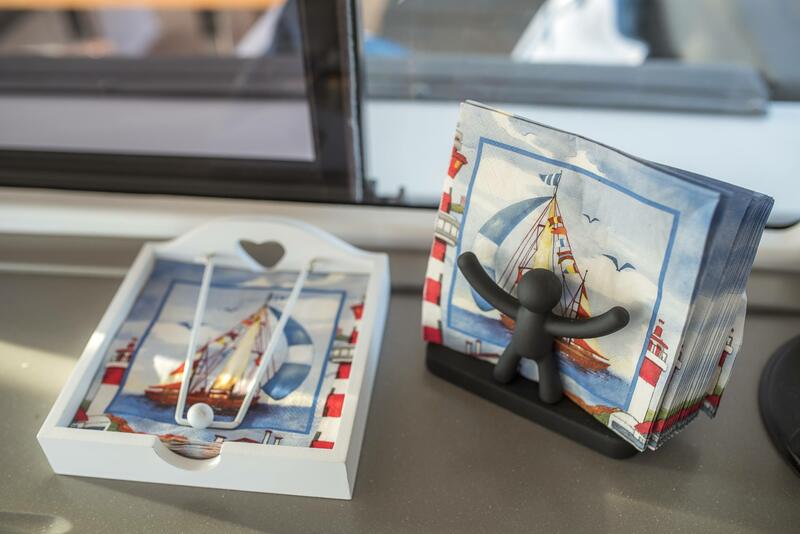 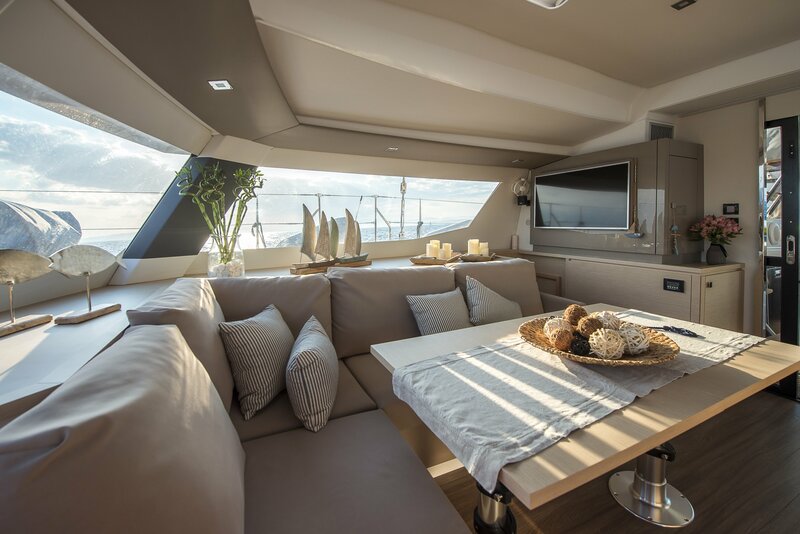 Launched in 2017, the yacht features lovely interior design by Berret/Racoupeau, created with great attention to detail. 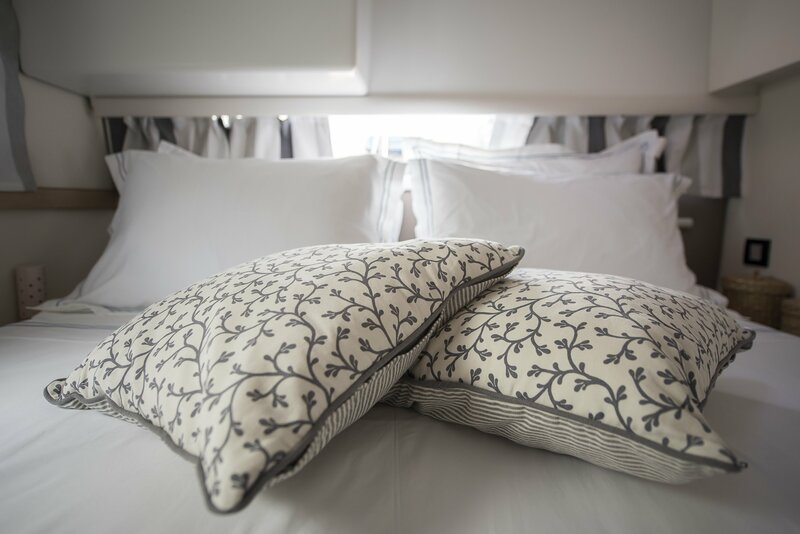 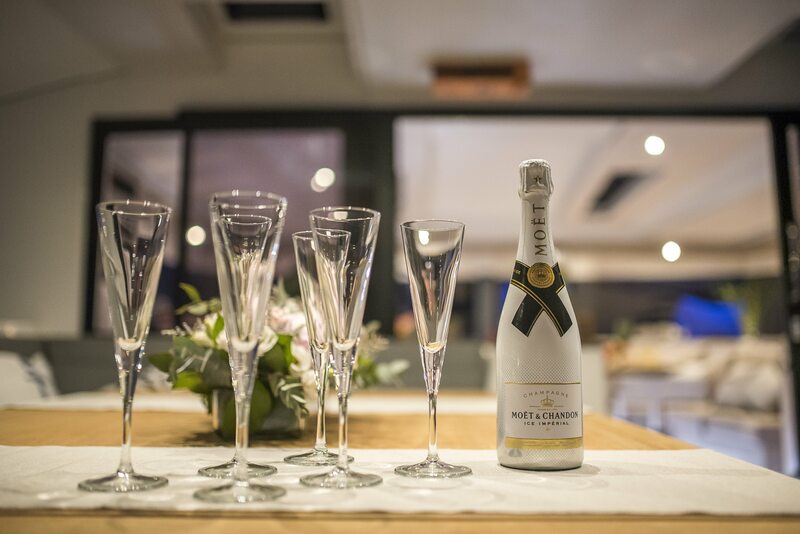 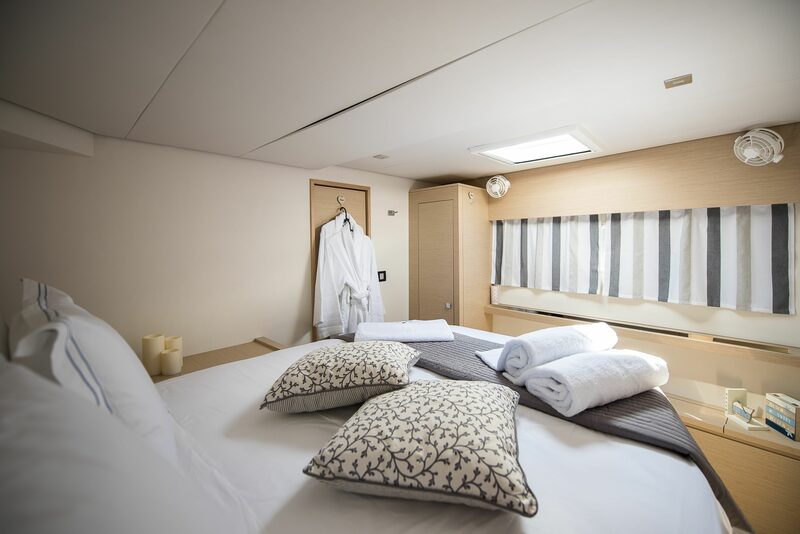 Accommodation on board spreads over five cabins, sleeping up to ten charter guests. 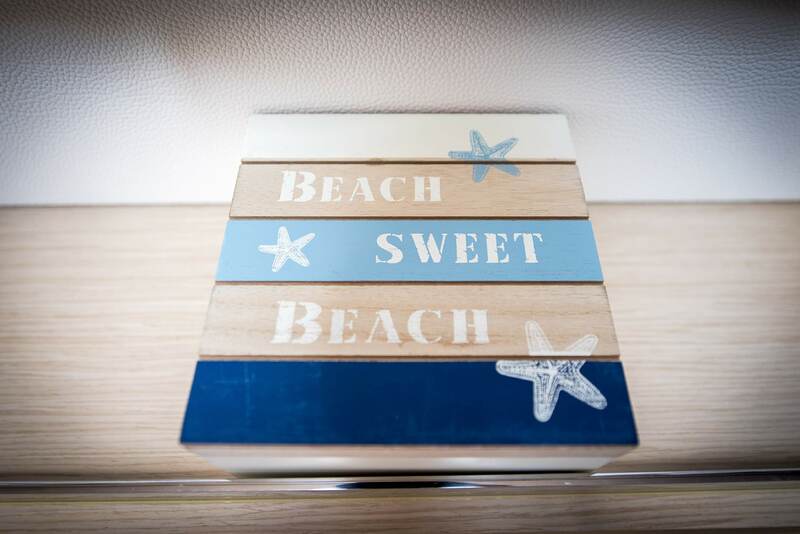 There is a crew of three. 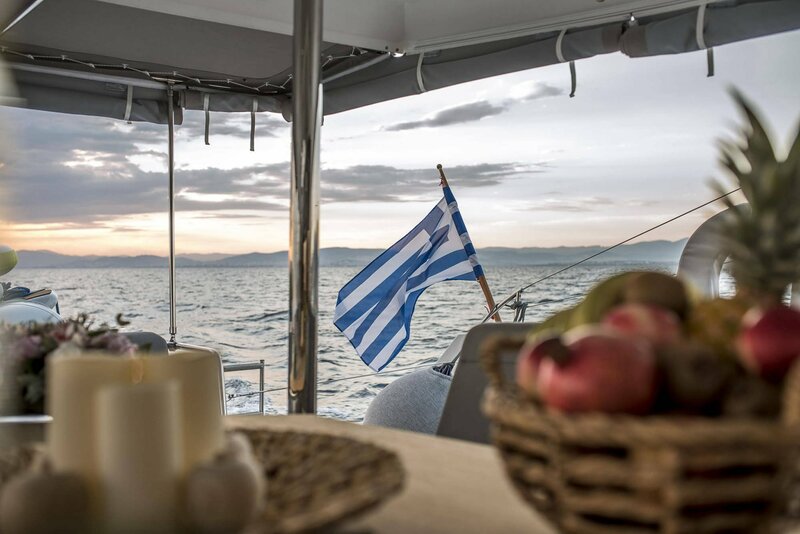 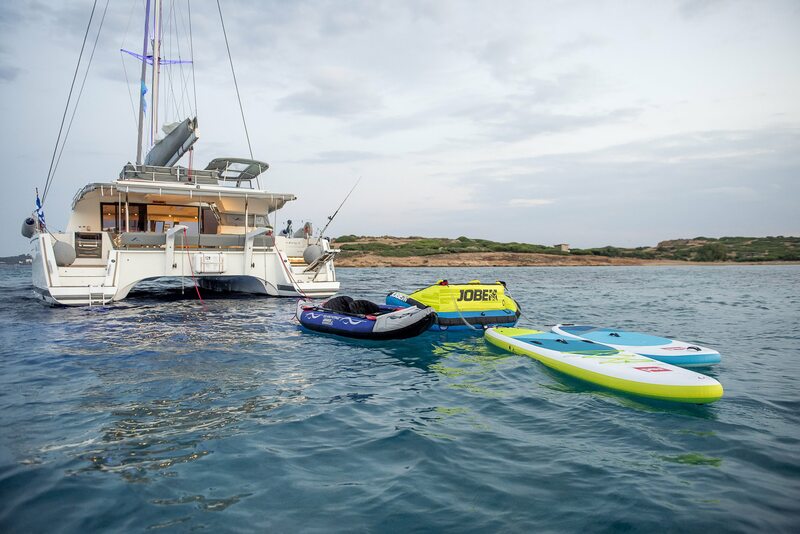 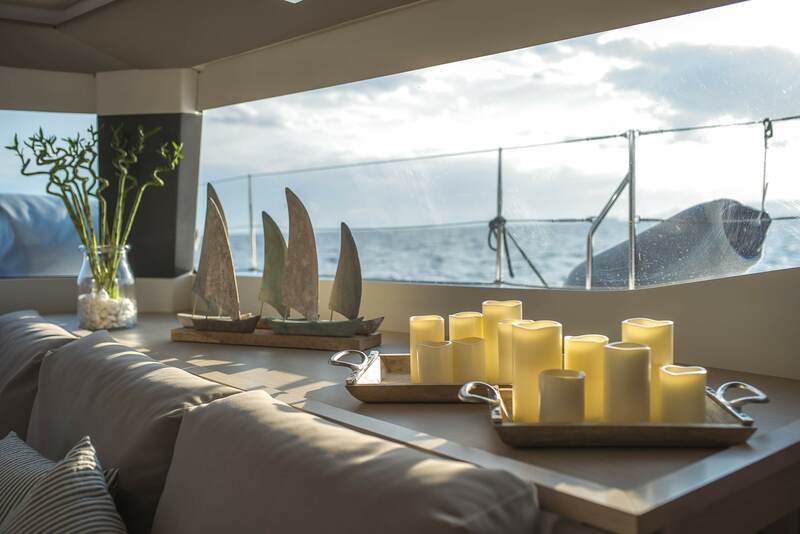 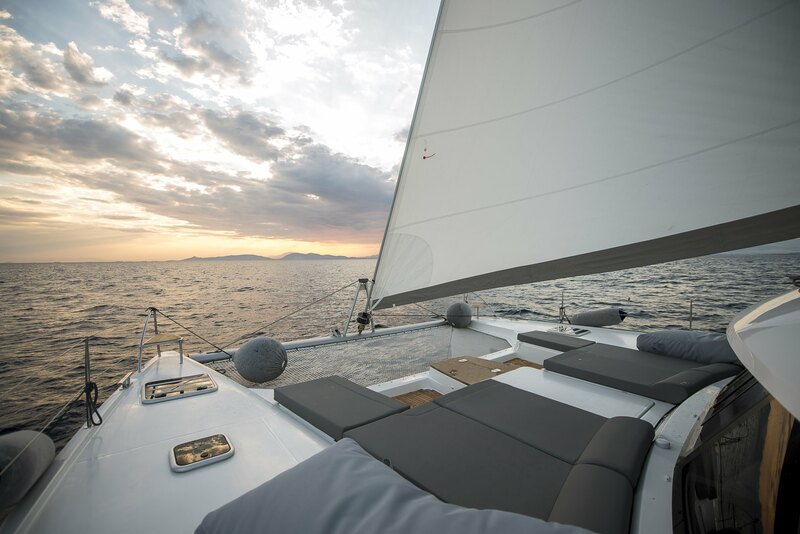 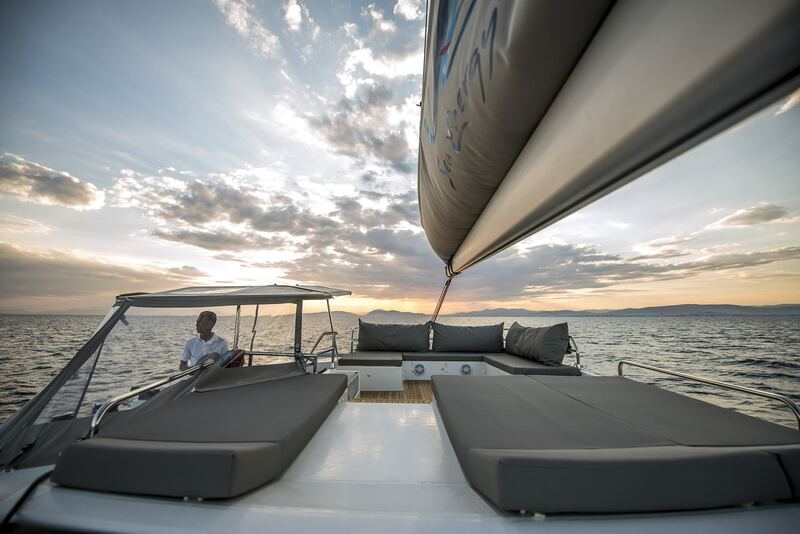 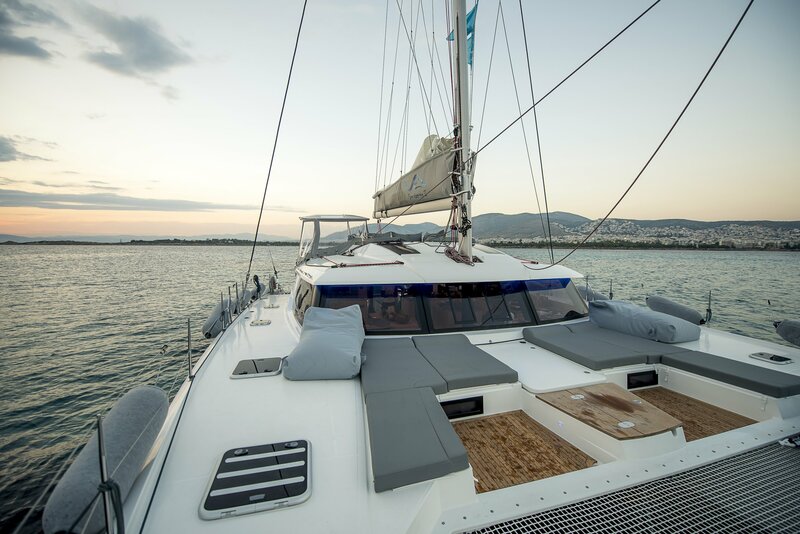 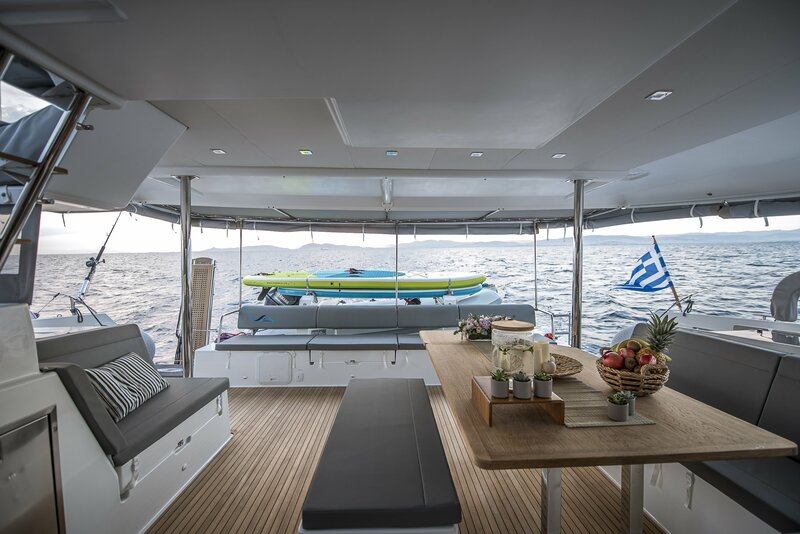 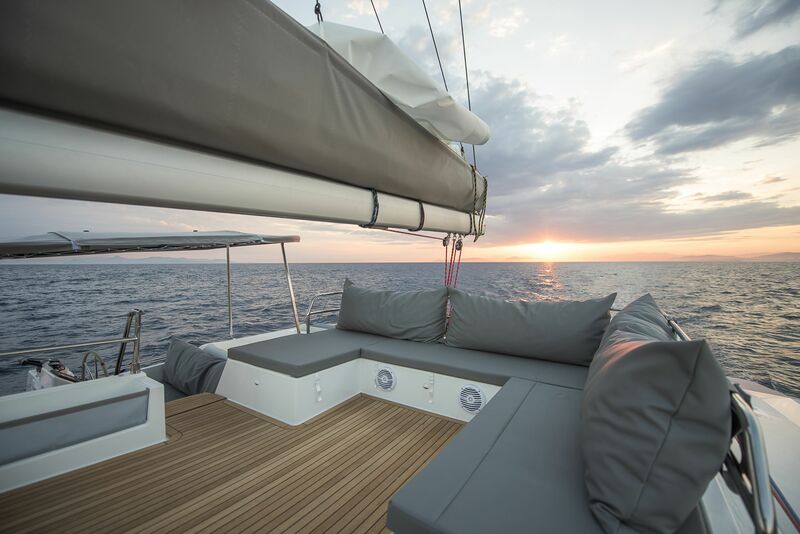 The foredeck is fitted with two sofa/sunbeds where guests can relax and take in the views or rest in the sunshine, and the forward nets make an alternative sunbathing space or a trampoline. 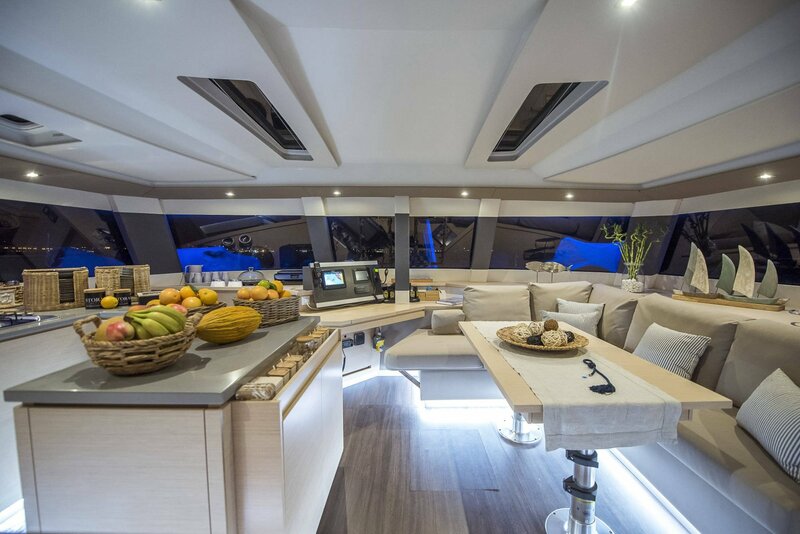 To the aft, the shaded main deck cockpit features and L-shaped sofa to port, plus a raised table and additional sofa to form an alfresco dining area of cosy seating spot for relaxation with hobbies. 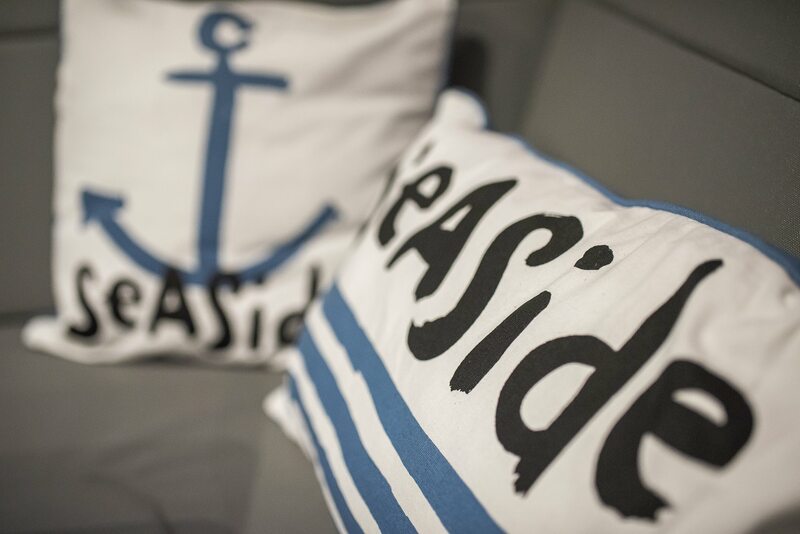 Opposite, the sofa can also be used as a chaise-lounger. 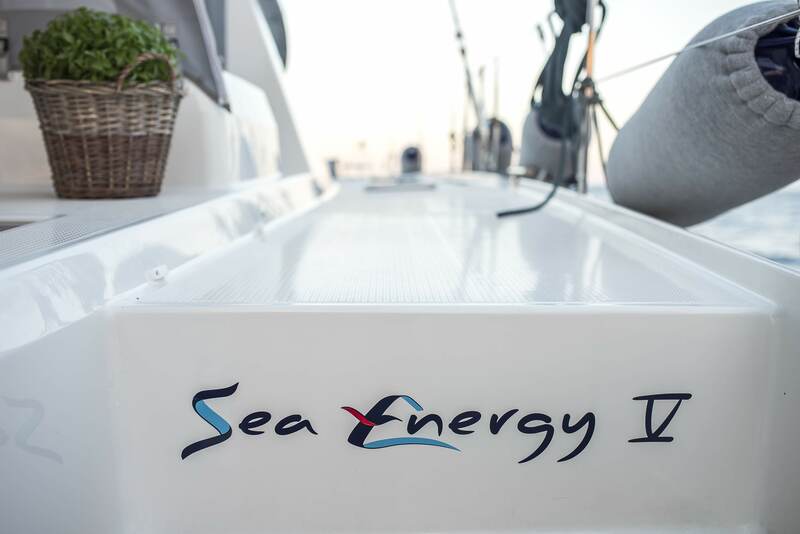 A staircase runs down each bow section for easy access into the water. 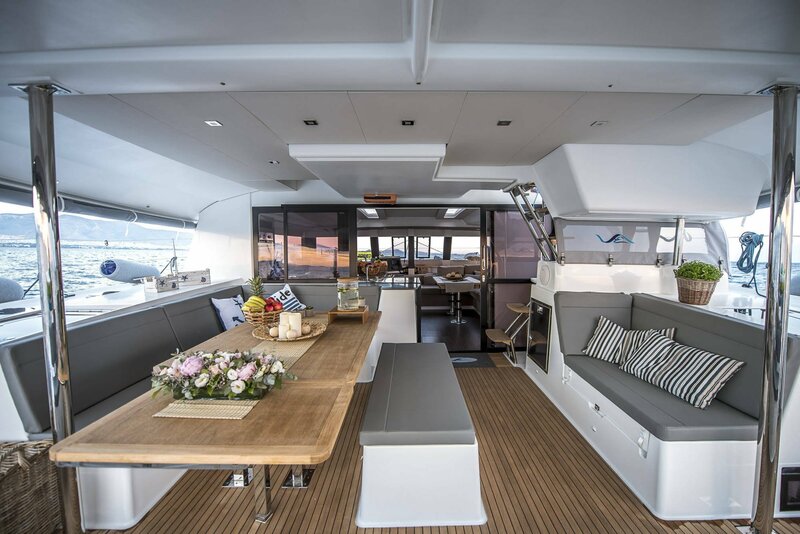 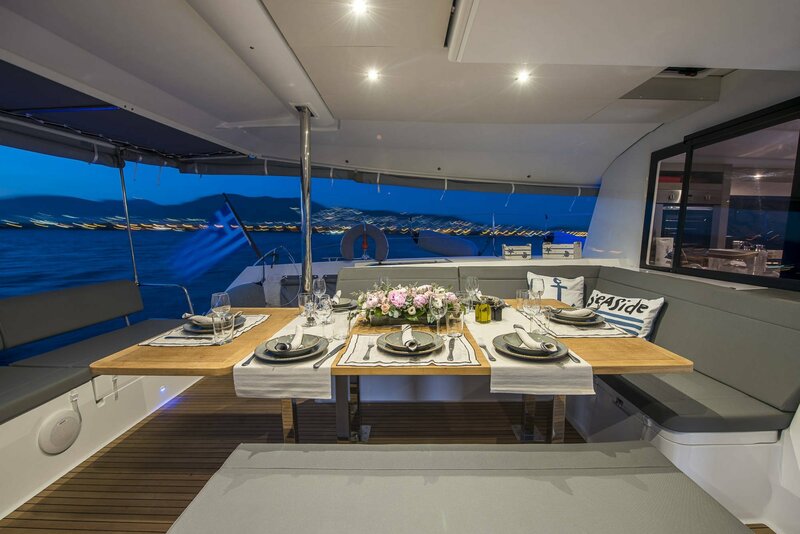 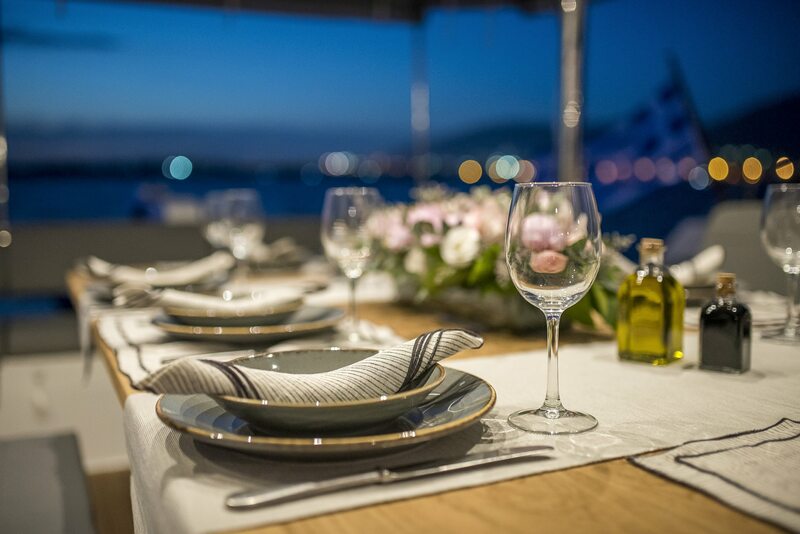 Above, the flybridge offers an alternative lounge with a C-shaped seating area to the stern with plenty of plush cushions for outdoor relaxation day or night. 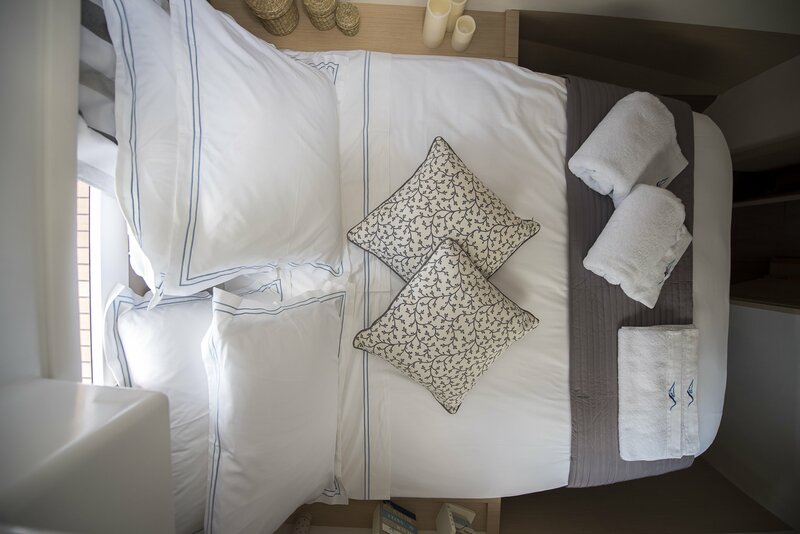 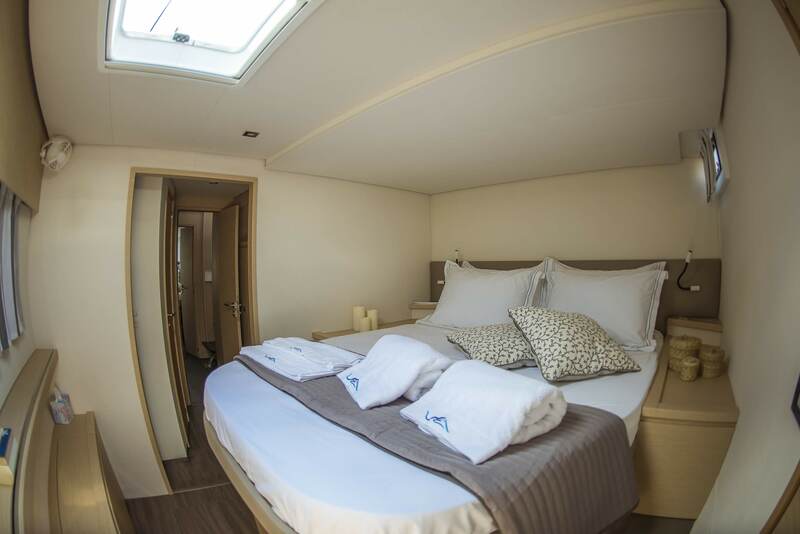 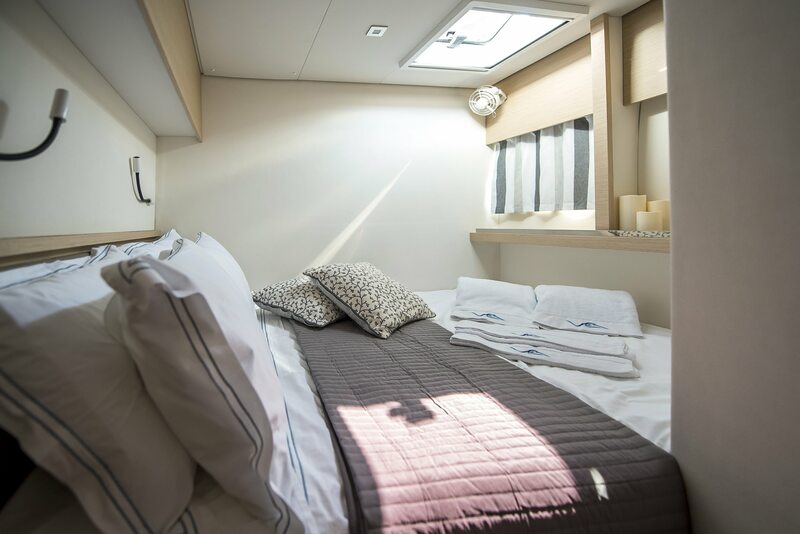 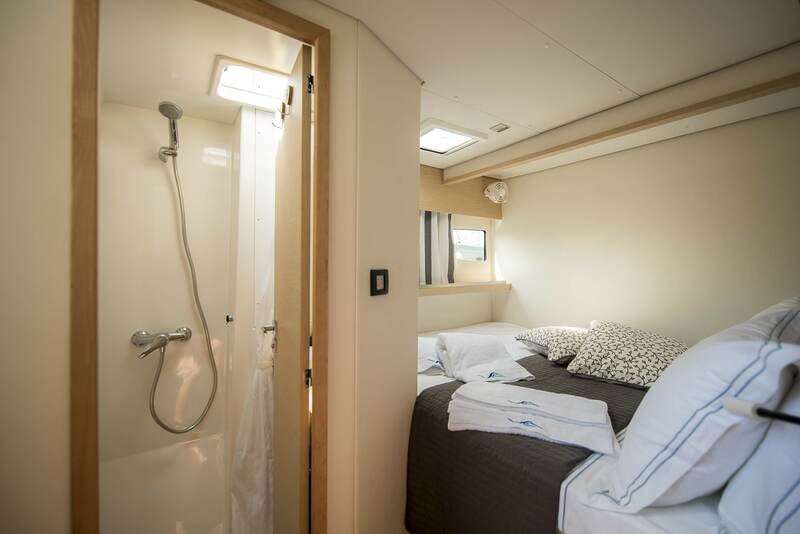 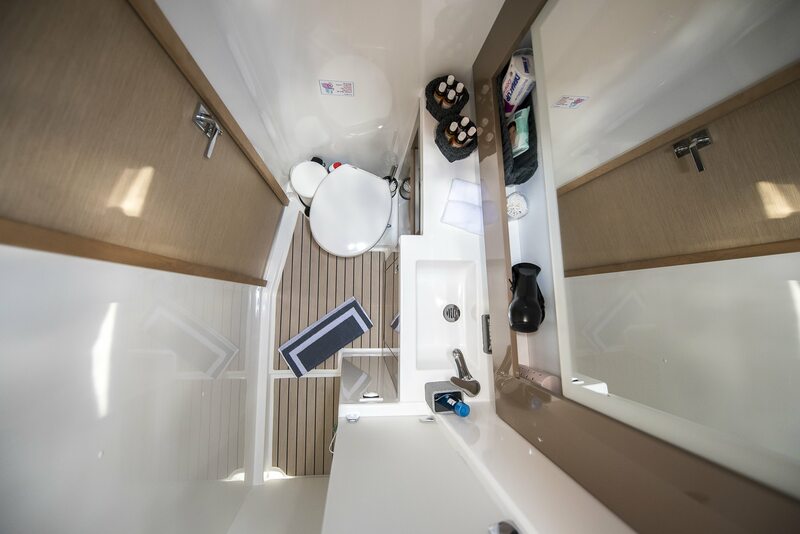 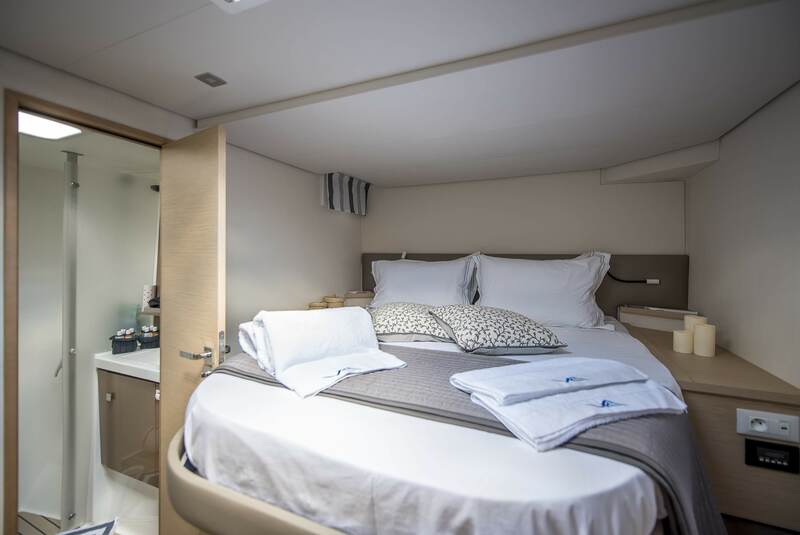 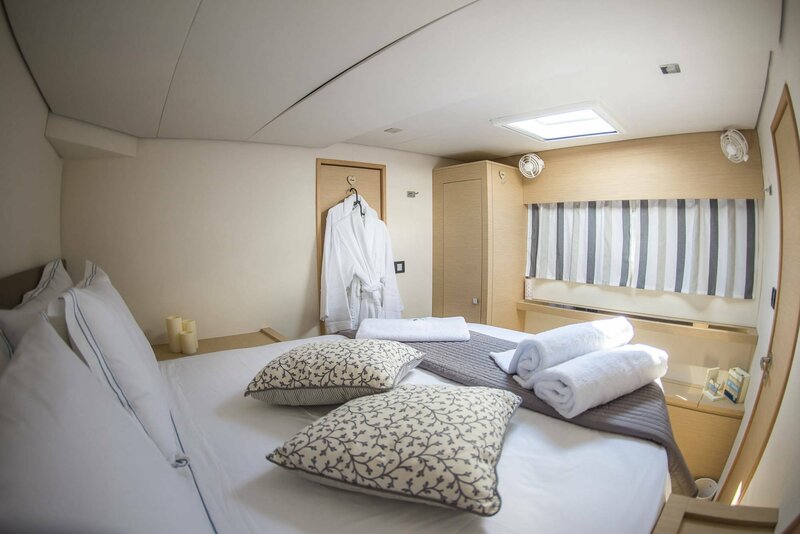 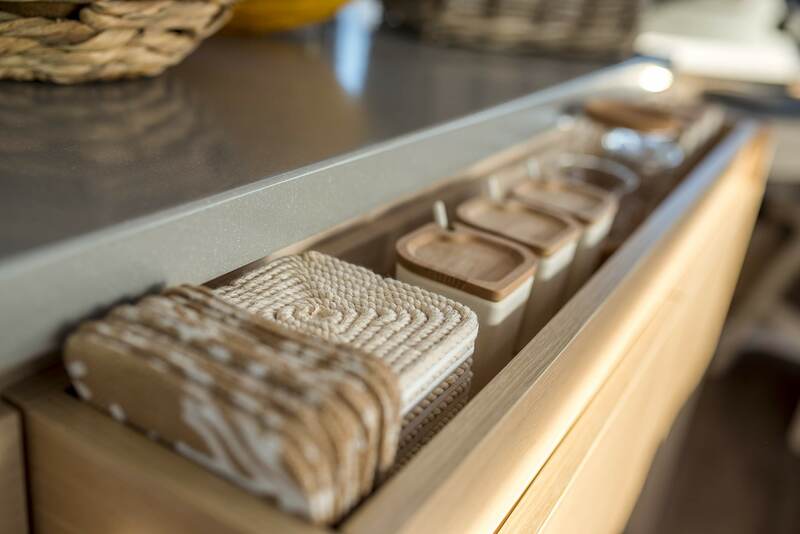 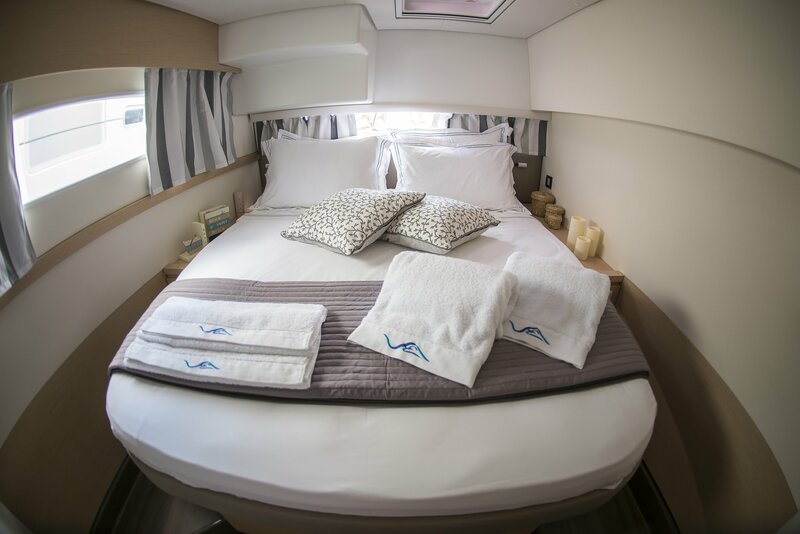 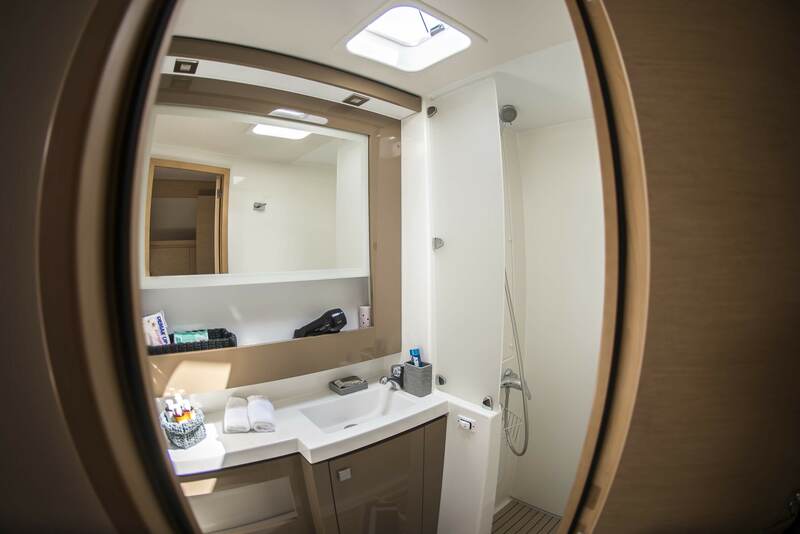 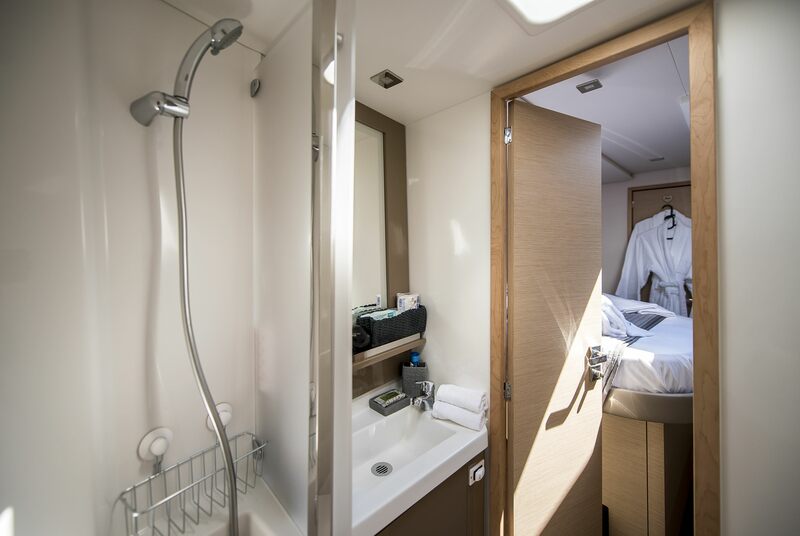 The lower deck layout places the guest accommodation in the hulls, with the port hull containing three large guest cabins with en-suite facilities and the starboard hull providing two large guest cabins. 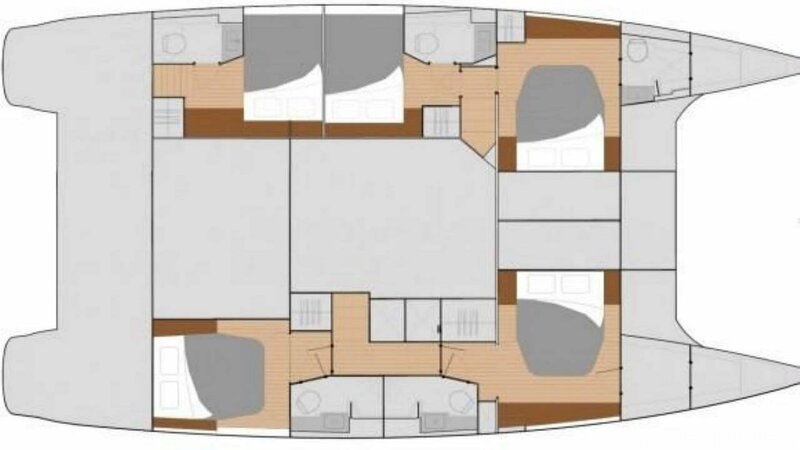 The Captain's cabin and crew cabin for two are placed in each bow section. 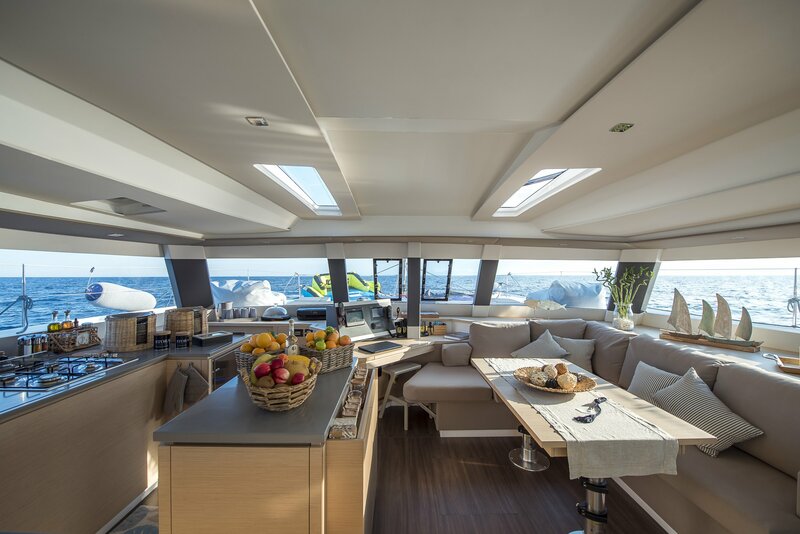 Staircases connect to the main deck, where the bright and contemporary lounge provides a port-side galley and a starboard L-shaped seating area with coffee/dining table to relax while the Captain navigates from the central forward helm. 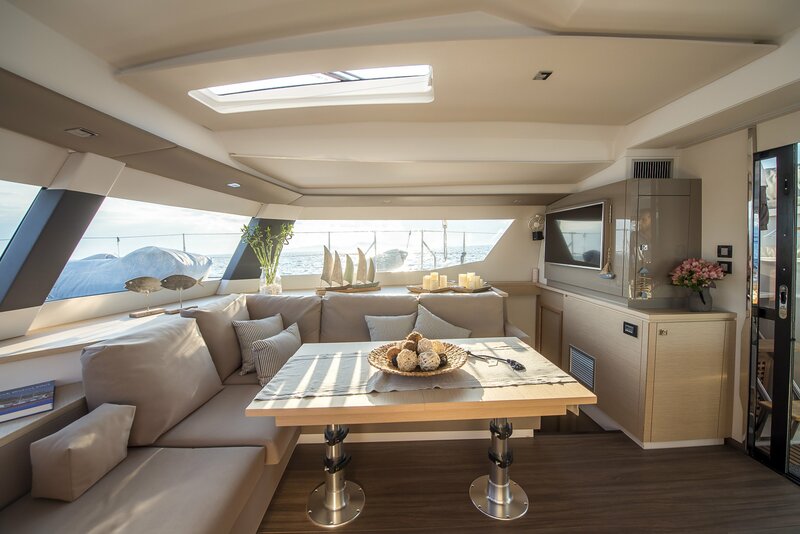 A widescreen TV is mounted on the aft wall opposite the lounge seating for films with the group in the evenings or during transit. 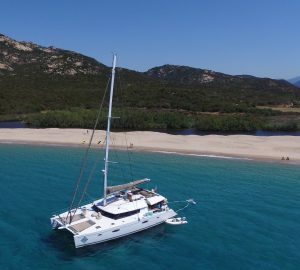 In light wind conditions, a pair of VOLVO 75HP D2 engines produce a cruising speed of 9 knots and a top speed of 10 knots. 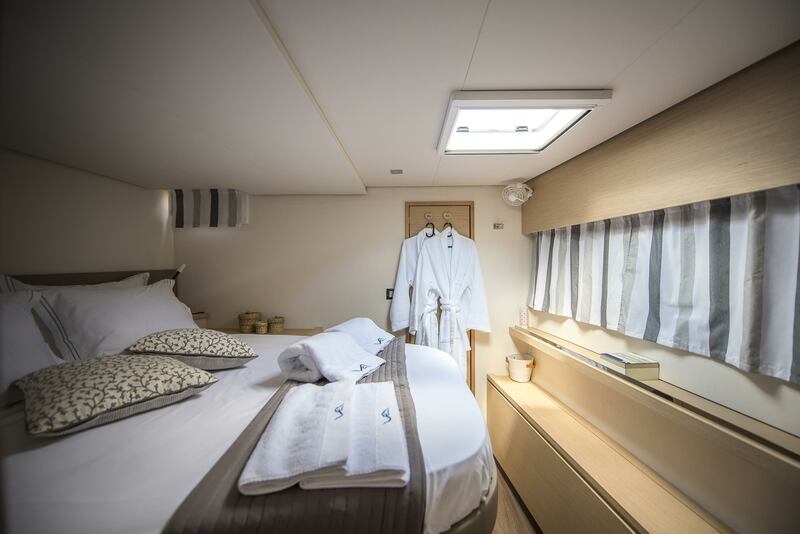 Five air-conditioned cabins offer accommodation for up to ten guests on board. 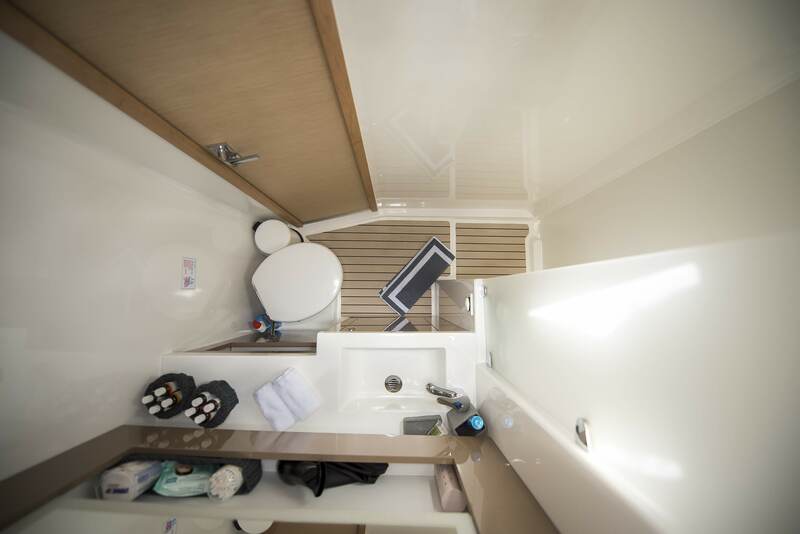 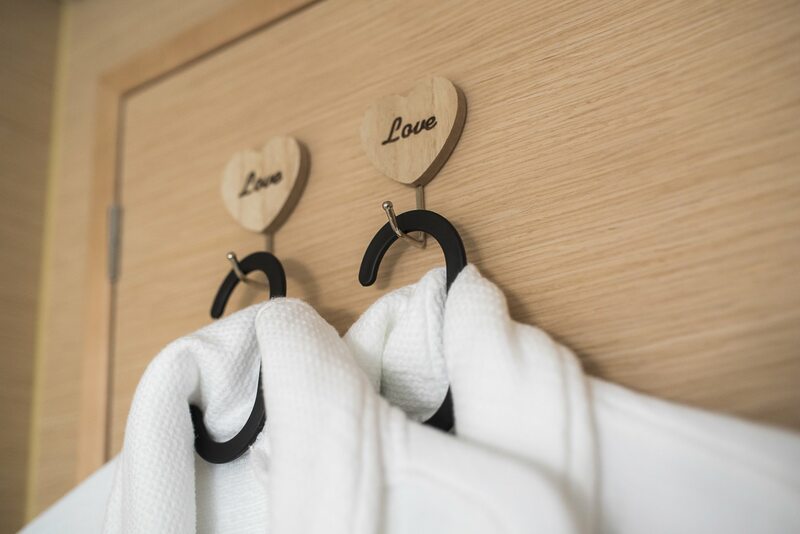 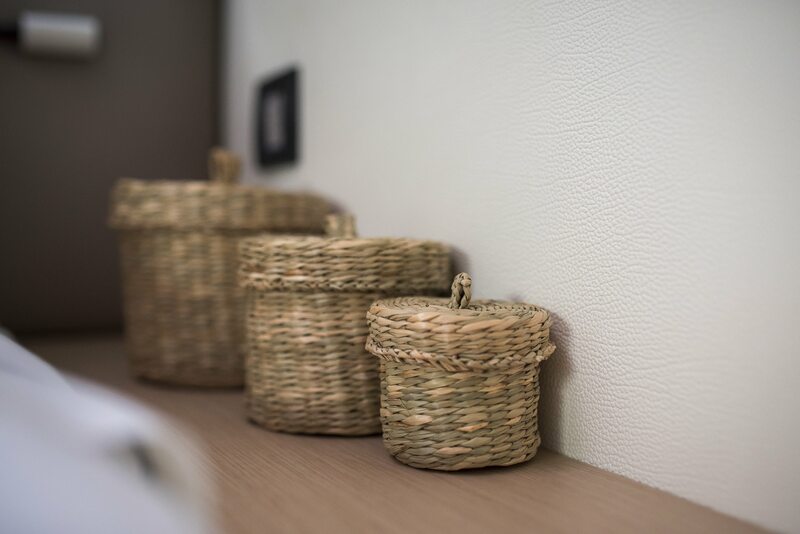 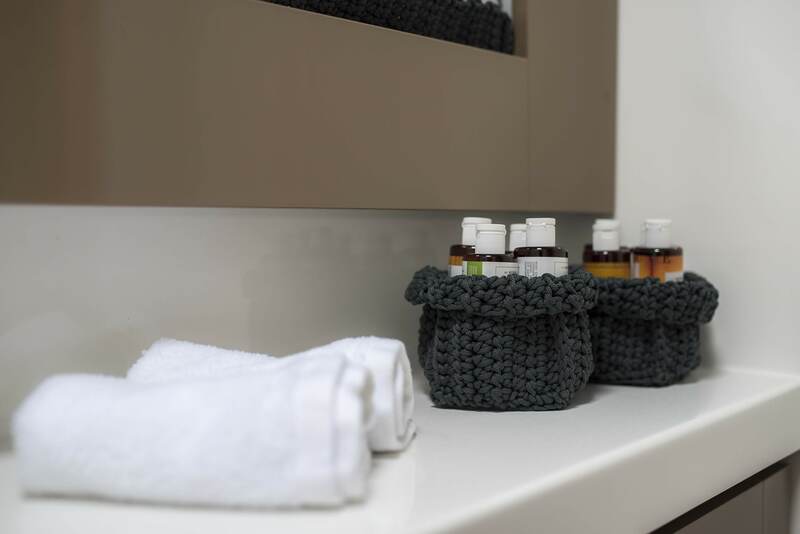 All cabins have ensuite bathroom facilities.